Do you wish you had more space in your garage? You’re not alone in your thinking. A study conducted back in 2015 revealed that about 25 percent of American homeowners have a garage that’s too cluttered to fit a car. And while not everyone wants to fit a car in their garage in the first place, the study is an indication that many people wish they could have more space in their garage, regardless of what they choose to use that space for. Creating space in your garage isn’t necessarily as difficult as it might seem. There are ways to make space for yourself if you’re willing to put in the time to do it. This tip is usually easier said than done. But one of the ways to go about creating space in your garage is by simply throwing a bunch of stuff out. Spend a Saturday afternoon going through everything you keep in your garage and getting rid of things you don’t need anymore. Everything from those old Christmas lights that don’t work to that old lawnmower you’ve been trying to fix for years now can go. By throwing out items you don’t use, you can free up more space for the things you do use. The average homeowner has a little bit of everything in the garage. From sporting equipment to holiday decorations, the garage tends to be the place where homeowners throw anything they don’t want inside their houses. It’s OK to use your garage for this purpose. But everything in your garage should be placed neatly into storage bins rather than just chucked inside the garage on a whim. A storage bin filled with sports balls will take up much less space than a bunch of balls just randomly scattered throughout the garage. Bins will help keep things organized while also allowing you to keep your garage space safe. Stand in the middle of your garage and look up. Do you see all that unused space above you? That is where you should be keeping the majority of the things you don’t use on a regular basis. Whether you choose to build a little attic space above your garage or you hang hooks that can hold things like ladders and bikes, use the ceiling area in your garage to its full potential. It can double your garage space in some cases and allow you to make the most of it. Do you have tools laying all over your garage right now? From rakes and brooms to hammers and screwdrivers, most homeowners have dozens and dozens of tools in their garage. Rather than putting them wherever you feel like it, devote one of your garage walls to your tools and hang them up on it. Outside of saving you space, it’ll also help keep your tools organized. You’ll be able to find any tool you want at a moment’s notice when they’re not all over the place. In addition to hanging your tools on one of the walls in your garage, find a space on a separate wall for shelves. Your shelves can be used to hold the storage bins that you have in your garage. They can also be used to hold other boxes and containers you might have on the floor right now. The shelves will protect your possessions in the event that water ever makes its way into your garage. They’ll also keep everything more organized while making the most of your wall space. If you have a particularly large garage that is difficult to organize, try breaking it down into different zones. Each zone can provide a specific set of items with their own place. For example, one zone might be set aside for your vehicles. Another zone might be set aside for seasonal items. A third zone might be set aside for tools and so on and so forth. By breaking your garage down into zones, you can cut down on the amount of clutter you have and make sure everything has a specific place in your garage. Do you currently have a big workbench in your garage that’s taking up entirely too much space? Replace it with a workbench that attaches to the wall and folds up and down when you need it. Chances are, you probably only use it once or twice a week anyway. So why allow it to monopolize the entire garage? If you insist on having a heavy workbench or another big item in your garage, put it on wheels so that it’s easy to move around. If your workbench is stationary, you’re going to have to plan the rest of your garage layout around it. But if you attach wheels to it, you can move it around as needed to free up space at certain times. If you’ve followed most of these tips and are still struggling as far as creating space in your garage, you might need to do more than just organize your garage. You might need to build a new structure to give yourself more space. Building a shed is a great way to open up space in your garage. You can also purchase a smaller outdoor cabinet to house some of the tools that might otherwise end up in your garage. Is your garage door taking up space in your garage when it’s open or preventing you from making the most of your ceiling area? A new garage door might do the trick and free up the space you need. It’ll also make it easier for you to access your garage whenever you want. Take a look at some of the latest garage doors to see how they could benefit your home. Creating space in your garage might seem like a lost cause right now. But with a little bit of creativity, you can find the space you need and make the inside of your garage look a whole lot better. You can also make the outside of it looking better by installing a new garage door to it. 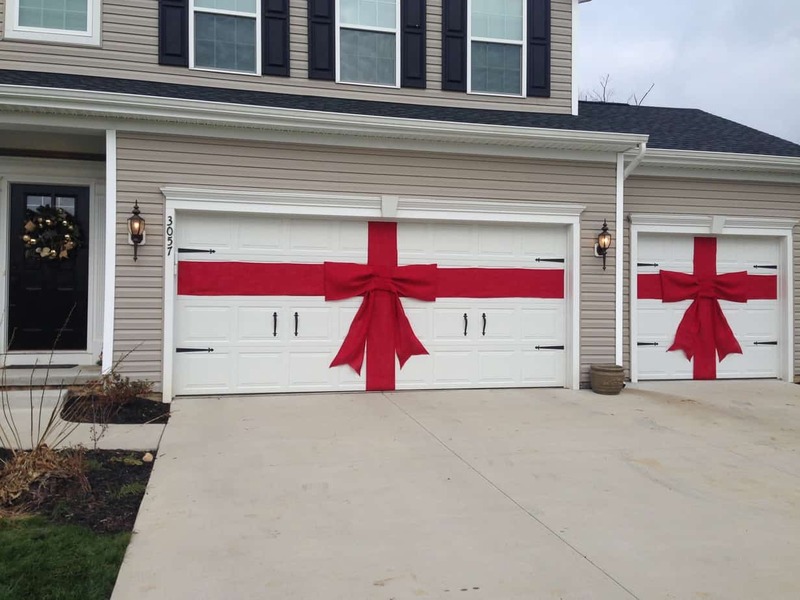 It’ll improve the curb appeal of your home while making it easy to get in and out of your garage. Check out our blog for tips on choosing the right garage door for your home. Garage fire safety is an issue for every homeowner. 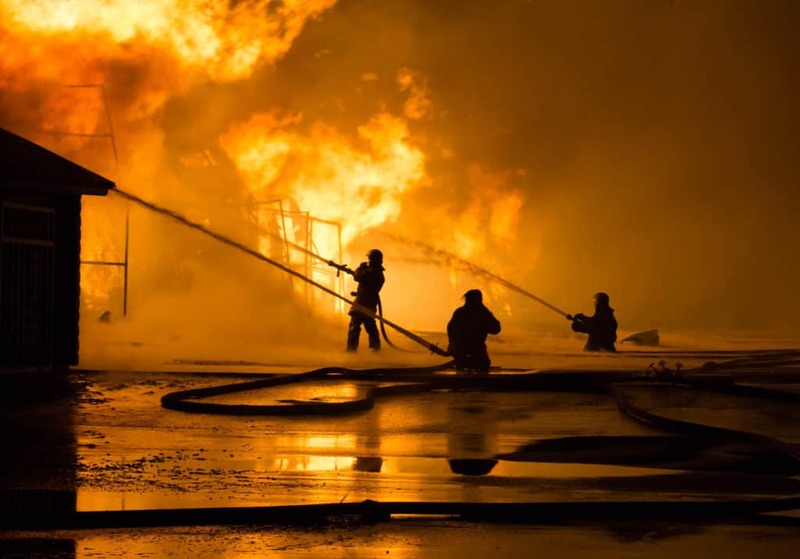 Most homeowners don’t think about their garage catching fire but the reality is that over 6,600 garages catch on fire in the United States every year. That’s why we’ve put together a guide on garage fire prevention to help protect your home from an unexpected fire hazard. Clutter is a pretty big problem for those wanting to prevent a garage fire. Often used for more than just a parking spot, the garage can be used to house a plethora of belongings, valuables, and flammables. Adding shelves and containers to store items until needed may help battle the mess. By developing a few safety habits and practicing caution, fire hazards can be easily prevented. In doing so, this keeps fire damage to a minimum and the lives of your loved ones safe. The leading cause of all residential garage fires is electrical malfunction. Damaged wires that short out or overload circuits is the primary contributing factor. Practicing caution when using appliances is a great step toward maintaining garage fire prevention. You should only ever have one appliance plugged into an outlet. Having multiple cords and appliances only multiplies the chance for a fire hazard outbreak. You should also never use an extension cord while charging an appliance. It may actually be best to tape down all cords and wires to ensure they do not get accidentally yanked from the outlet. Heaters and boilers should be kept away from flammable liquids as the sparks can ignite and cause a fire. Even a car battery has a chance to spark under certain conditions and should be removed from potential accelerants. All exposed wiring should be repaired or removed prior to performing any work inside the garage. If you happen to use your garage as a workshop, then keep all flammables sealed and removed from the electrical tools. A spark from a saw can ignite the fumes and liquids setting your work space ablaze. Be prudent in cleaning up any sawdust or debris afterwards. Small pieces of wood are far more combustible than the larger pieces. Seeing as fire only needs a combination of: fuel, heat, and oxygen – It may be in your best interest to keep these things from coming together. Never keep flammable products out in the open when not in use. This will include cans of paint, finishing oils, as well as other solvents and flammable liquids. Ensure after every use, that you reseal all containers and store them in a safe place. A dedicated storage container with a closed door is preferred. Avoid taking any unnecessary risks with combustibles to minimize the chance for an accidental fire hazard. Ensure that all combustibles are removed from regular sources of heat. Propane tanks are prone to ignition or explosion and should be kept in a storage unit outside of the garage. If a garage fire breaks out, your reaction and response time is critical. If left unchecked, it won’t take very long for the fire to reach your living spaces. Having the proper safety equipment in place to alert you to the presence of a fire is crucial. Have a heat alarm – not a smoke alarm – installed in your garage. A smoke alarm is not designed to alert you to a fire. It can be affected by a slight change in temperature, humidity, or too much dust. When purchasing a heat alarm, make sure it is hard-wired and installed by a qualified electrician. It’s best to purchase one that comes with a battery backup and can interconnect with your home’s smoke alarms. A fire extinguisher is a no-brainer in this situation. Having one on hand that is kept close to an exit door is ideal for fire safety. A fire extinguisher is bother practical and inexpensive making it a smart purchase for every home with or without a garage. You may also consider having a sprinkler system installed to promote further garage fire safety. Fires that originate inside of an attached garage are more likely to spread to other parts of the home than one that is detached. A garage fire can spread rapidly throughout other areas of your home in very minimal time. For this reason, it is recommended that attached garages be adequately sealed from all living areas. Installation of the right door can aid in slowing and containing the spread. According to the International Residential Code (IRC), “Openings between the garage and the residence shall be equipped with solid wood doors not less than 1-3/8” (35mm) in thickness, solid- or honeycomb-core steel doors not less than 1-3/8” (35mm) thick, or 20-minute fire-rated doors.” If you’re in doubt, reach out to our team at R&S Doors and we’ll help. To help contain a garage fire from spreading, the doors leading into the home should be self-closing so as not to sit ajar. They should also possess tight seals around the joints to prevent carbon-monoxide fumes from seeping through and into the living areas. If the door happens to have a window, then ensure that the glass is fire-rated. Avoid adding pet doors to a fire-rated door in order to maintain its integrity. Garage fire safety doesn’t begin or end in the garage. Taking the necessary precautions to ensure fire safety begins and ends with you. In disastrous times, there are teams of qualified professionals standing by to assist you. If your garage or home suffers fire damage and is in need of repairs, then don’t hesitate to call your local fire damage restoration team. Most people only know something’s wrong with their garage door when it stops working thus requiring garage door maintenance. No one wants to get home at night and realize their garage door doesn’t want to open. Then begins the personal struggle: fix it yourself or call a professional. Fixing it on your own can be potentially dangerous, and it can be tough to figure out just what the problem is. If you call a professional, the costs can rack up quickly. Luckily, there are some steps any homeowner can take to prevent their garage door from breaking suddenly. With these garage door maintenance tips in your toolbox, you’ll never be taken by surprise by a garage door suddenly malfunctioning. Use these measures to keep your garage door in great working order. Ready? Let’s go through our 7 safety tips that help with garage door maintenance. What people don’t realize is that garage doors can be dangerous if they aren’t well-maintained. A door that suddenly breaks, fails to open, or closes randomly can not only cause damage to vehicles, but it can injure people as well. This applies to self-repairs as well. Trying to fix your garage door alone isn’t a good idea if you don’t know what you’re doing. No one should hurt themselves doing DIY repairs if it can be avoided. However, doing some quick checks on your garage door is fairly harmless and actually prevents future injuries. 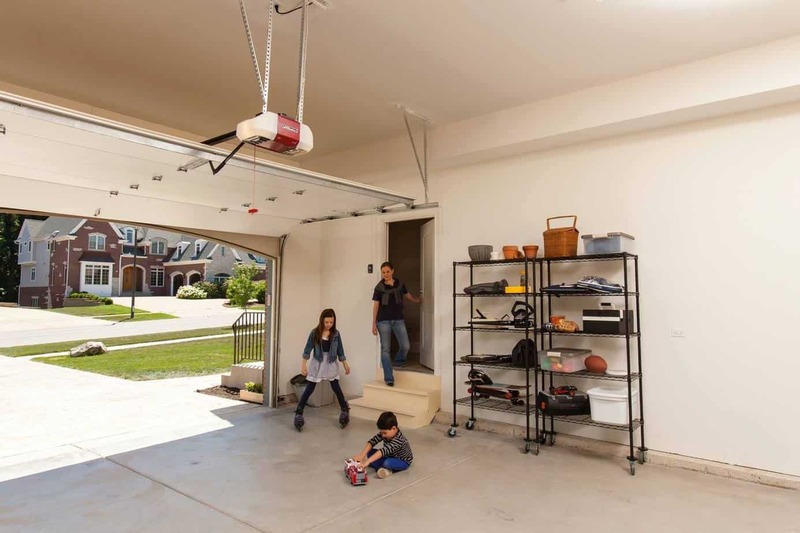 By maintaining your garage door, you’re keeping you and your family safe. With garage door maintenance, your eyes and your ears are great tools for diagnosing issues. A well-maintained garage door won’t sound loud and noisy — in fact, it will sound rather quiet when it closes. Loud creaks and groans can indicate issues with the garage door, so if your opener makes a racket it might be a good idea to do some DIY maintenance. Your garage door has a balance system that keeps it from coming down too quickly or not far enough. If the door is out of balance, it might slide down with a lot of force, potentially damaging anything underneath it. This also puts a lot of wear on the door, causing it to break early. It’s fairly simple to check your garage door’s balance. Before you do anything, make sure that the opener is disconnected. Usually, you can disconnect the opener by pulling the release handle, which is generally a red cord. After that, pull your garage door up manually until it’s halfway open. If your garage door stays in place at that position, it’s balanced. If it slams down or keeps moving upward, it’s unbalanced in one way or the other. Unfortunately, if your garage door is unbalanced, you will need a professional to adjust it. Just like with any other machine, doing garage door maintenance means you keep the moving parts in working order. There are tons of moving parts in a garage door opener and they all need lubrication to work properly. The rollers, springs, and hinges need it, as well as the opener chain. If you live in a cold climate, you might need to use specific oils and greases made for low temperatures. Also, try not to over-oil or over-grease any parts — while not dangerous, it’s a mess that can get on people’s clothing. If the garage door isn’t closing properly, there may be an issue with the LED sensors at either side of the entrance. Check them for dust or obstructions and clean the lenses if they’re dirty. If that doesn’t work, check the LED lights themselves. If either one isn’t working, the door won’t close anytime soon. Adjusting the sensors so that they match up should cause the door to successfully close. If not, it’s time to call the professionals. Most people don’t know that you can actually change the force of the opener. This affects how hard the door comes down. What this system is useful for is detecting objects beneath the garage door. If the force is too high, the door will crush anything beneath it. With a weak force, however, the door won’t actually close at all. An easy test is to put something like a wooden board or a rock underneath the door. If the garage door detects the object and opens again, the force is probably fine. However, if the door refuses to close at all, or if it smashes down on the object, it needs some adjustments. While not technically garage door maintenance, this is a safety concern nonetheless. If you or your friends have children, it’s useful to figure out ways to childproof your garage door. Never leave the garage door opener where a child could get hold of it. It might seem like a toy to them. The button on the wall for opening the garage door should always be high up on the wall, far over the height of any child. It’s also important to understand how the emergency reverse function works. Educating your children on this feature is vital for their safety. It’s much tougher to do garage door maintenance on old, outdated garage doors. Many of these aged doors lack the modern safety features that new doors have. For example, older doors might not reverse until the door actually hits the object. If the object is a person, then it’s already too late. While it can be costly to replace, the added security and function of your new garage door will surely be worth it. Regular garage door maintenance creates a smooth-running door and a safer environment. If there are issues, don’t hurt yourself trying repairs — call our trusted garage door technician and we will help you get your door working. The good news is that making one, simple change can have a dramatic impact when it comes to improving garage safety: Observing a routine garage door maintenance plan. When you sign up with a licensed garage door company to inspect, tune-up and repair your garage door, you gain a partner in the mission towards garage door safety. If your door is outdated and doesn’t have many of the safety features that stop its activity at the first sign of resistance or pressure, we’ll let you know. If your springs are looking old or misshapen, we’ll replace them for you. Garage door techs will automatically repair or replace parts that aren’t working properly or that are showing signs of wear and can dull down, or point out, any sharp edges or danger zones that might get in the way of precious human bodies or pets. Plus, if you are part of our regular maintenance plan clientele, you get top priority when your garage malfunctions or breaks down, and you also have access to premium price savings. It’s easy to neglect garage door maintenance until something undesirable happens, so a proactive maintenance approach is the way to go. Secure hazards up and out of the way, or in locked containers. The garage is full of tools and chemicals that are unsafe for pets and children. Make sure these items are secured up and out of the way, or lock them up in a labeled container or cabinet. Don’t forget that ladders are a danger. When propped up against the wall, they pose an irresistible temptation for little ones. Instead, install hooks in the rafters or along the wall and suspend the ladder on the horizontal plane instead. Eliminate clutter. Does your garage resemble a contemporary obstacle course? This is a recipe for disaster since the more your household members and/or guests have to navigate the clutter, the more apt they are to trip and fall on the hard garage floor. This is especially true for the senior population and those who have to maneuver around cars, toys and other items with a mobility aid. Pick a day when the weather is reasonable and perform a thorough Spring Cleaning (regardless of the season). Read, Garage Spring Cleaning, for tips on getting started. Have a fire extinguisher on hand. From fertilizer and paint thinner to pesticides and various types of fuel, the average residential garage is a much bigger fire hazard than most homeowners give it credit for. As we mentioned in #1, storing these hazardous chemicals and flammable products in well-marked, locked containers is a good first step. Even so, accidents happen so have a fire extinguisher or two in easy-to-reach locations so you can put a fire out quickly. Also, calendar the inspection date on each one and take it to a local fire protection company to trade it in or have it re-inspected so it’s ready to go when you need it. Provide adequate ventilation. Garages are notorious for having poor air quality due to the off-gassing of your vehicle when it starts and stops, as well as the various toxins that are stored inside. Make sure the door between the garage and the house is very well sealed, and then talk to your HVAC company about secure ventilation options so noxious gases have a way to escape rather than to accumulate inside. Upgrade security measures. Garages are a primary entrance for many burglars, especially if you’re in the habit of leaving a window cracked or keeping it in a slightly raised position so pets can get in and out. Read, 6 Tips on How to Make Your Garage Burglar Proof to make your garage more safe and secure. Ready to make garage safety a priority for your home? Contact us here at R&S. Our friendly maintenance technicians will stop by each year to ensure your garage door parts are safe, functioning properly and secure. Don’t forget to ask us about our regular specials, which allow homeowners and landlords to replace outdated garage doors for a highly competitive price. In a perfect world, all of us would schedule routine maintenance for our mechanical appliances, accessories, and vehicles. The reality, however, is that we don’t. As a result, these hard-working machines wind up in a bind from time to time, often requiring a costly repair or replacement in order to make it right again. Your automatic garage door is no exception. The downfall to this wait-until-disaster-strikes approach is that those expensive emergency repairs and big-time malfunctions are largely avoided with a little, cost-effective maintenance along the way. When you add to that the fact that many manufacturers make “proof of professional maintenance” a requirement for any warranty obligations, it makes, even more, sense to hire a licensed professional to maintain your garage doors. Here are some of the benefits of establishing a routine, professional maintenance schedule with a professional garage door company. First and foremost, routine maintenance proactively addresses any latent issues and ensures everything is functioning as it should. This means your garage door will work more reliably, quietly and efficiently day in and day out. An annual or bi-annual inspections mean your sensors are less likely to get out of whack, the door will remain balanced and on track, tracks will be clean and all moving parts will be adequately lubricated. Nothing lasts forever and that’s true for garage doors, too. However, annual maintenance means catching small issues you might not notice on a daily basis before they turn into big issues that lead to expensive repairs, replacement parts or an avoidable replacement of the entire kit-and-caboodle. While maintenance appointments will cost a nominal amount here and there, those big-ticket – often avoidable – repairs and replacements cost a whole lot more. While the licensed professional goes about his business, he’ll be looking at your garage with an objective eye. If it seems like the insulation could be beefed up, he’ll make recommendations and even tell you how to do it if you prefer to handle the job yourself. Perhaps the weather stripping is shot, in which case he’ll recommend replacing that as well. These may seem like small things, but they make a big difference – especially if you spend time in the garage working on hobbies or watching the game with neighbors. Garage doors are dangerous – they’re heavy, cumbersome and can cause accidents if they’re in a state of disrepair. This is especially true for manual garage doors or outdated models that don’t have built-in safety features. The technician tests the door’s safety mechanisms to make sure they’re functioning properly. He will also let you know when it’s time to replace your garage door and can make recommendations for the right make and model for your taste and budget. We take pride in our commitment to superior customer service with each and every customer. Even so, long-term relationships matter. When you establish a routine maintenance schedule with a local garage door company, it’s inevitable that you’ll be the first to know about great deals and offers as they’re available, and many companies pass down discounts to regular customers when the garage door needs to be replaced or requires an expensive repair. This all adds up to major savings over the lifetime of your garage door(s). Interested in establishing an on-going relationship with Bay Area garage door professionals? Contact us here at R&S and we’ll get you on the books. We’ve provided decades of reliable, customer-centric garage door and commercial door maintenance and repairs. (925) 671-7606. Are you heading out of town for the holidays? This time of year is a popular one for thieves because they know that homes are often left empty while occupants are busy at various holiday functions or making their way out of town. The garage may be your weakest home security link, so make sure your garage and home remain burglar free this season. Here are 7 tips to prevent your home and garage from getting burgled. Perform routine garage door maintenance. If your automatic door is working properly, it’s much more difficult to access without the remote access entry. We recommend performing DIY maintenance – cleaning the garage door tracks, lubricating moving parts, and keeping the area around the garage door free of debris – at least twice a year. Using high-quality seals and weather stripping will also help to prevent access. Keep your garage door closed. A closed garage door is your first line of defense against garage and/or home theft. An open garage door is an all to commons sight in most neighborhoods. Certainly never leave your garage door open for long periods of time, especially when you’re away from the home. When you leave for work each morning – or head out of town – make sure the garage door closes all the way before making your way into the street. This gives you a chance to go back and shut it again if the automatic safety features cause it to go back up as the result of an errant rake, toy or pile of leaves in the way. Utilize the lock function. Did you know your automatic door has a lock function? Many homeowners forget this important second-line of defense. Test it routinely to make sure it works. If you have an older door, or the lock function on your garage doesn’t work, you can padlock the throw latch or install C-clamps on each side of the door track, making it significantly more difficult to open the door from the outside. Don’t leave the remote in the car. It makes sense to leave your remote in the car, doesn’t it? You’ll never forget it and be locked out when you come home. The problem is that if a thief is able to get into your car and take the remote, he has full access to your home. If you have a more modern car, utilize the car’s automatic garage door programming system, making the remote a non-issue. Otherwise, bring your opener with you and make it a habit of clipping it to your key ring so you’ll never forget it. Better yet, buy a keychain remote fob and ditch the visor-clip version altogether. Upgrade your garage entry door. How burglar proof is the entry door from your garage to your home? Even thieves that make their way into the garage will think twice if your home has a solid-core wood or reinforced steel door with an anti-kick device on it. Always lock and deadbolt the door when no one is home. Install a peephole. If you don’t already have one, consider installing a wide-angle peephole in the door that leads from your home to the garage. That way, if you hear a suspicious noise in the garage, you can look through it – rather than open the door – to see what’s going on. This is also a good idea if you have younger children or teens who are on their own after school and before you get home from work. Frost or cover your garage windows. Leaving your garage windows exposed gives burglars a first-row seat view of the garage’s contents. If you have lots of expensive tools and/or toys, your clear window view serves as an invitation. We recommend frosting garage windows or installing blinds or window treatments that remain closed unless you are in the garage. Feel like your garage could use some security upgrades? Give us a call here at R&S and we’ll be happy to help you out. A few of the most common garage door issues are easy to fix on your own – things like misaligned garage door photo eyes or sweeping the track free of debris. Others are not so simple. Anytime your garage door repair requires disassembly, manipulation of the door, or more in-depth parts replacement/repair we strongly advice calling a professional. We aren’t saying that to get your business, we’re saying that because we have seen more than our fair share of horror stories. DIY garage door repair can be dangerous and the team at R&S always shudders when we get a call from a client who was injured after trying to repair their own door. Here are some of the fix-it items that can result in dangers to both you and your garage door. A malfunctioning garage door opener. If it’s not something simple like the photo eyes causing your opener to malfunction, be very, very wary of trying to fix a malfunctioning opener. The garage door can be incredibly unpredictable, and this is dangerous. If the door happens to get off track, you can be thrown off balance from your stepping stool or ladder, or the sheer weight of the door can cause injury. The spring of a torsion spring. There are still many reliable garage doors that open using a torsion spring system, rather than an extension system. To operate, the torsion spring is mounted horizontally above the garage door. The spring it wound up with the door is pulled down and that wound up energy is powerful. It’s used on the other side when you open the door, to help energize the door’s lift. If you wind up on the wrong side of a wound up torsion spring when it breaks, the force is violent and serious injury can occur. Using the wrong tools. Garage doors have very specific mechanical parts and some of them require professional tools. These tools are not typically found in the average homeowner’s toolbox. This can lead to you running to the hardware store to purchase a tool you’ll never use again, or it can lead to you trying to manipulate the part to the best of your ability using the tools you have. This is a bad idea because not only can it lead to potential injury, it can also lead to a broken or damaged part, which puts you right back where you started. A collapsed replacement garage door. Watch a YouTube video about replacing or installing a new garage door and it all looks so straightforward. The reality is quite different. First, it is at least a two person job, and both parties need to know what to do when. Second, garage doors are very heavy and modern residential garage doors – with their multi-layered construction – are cumbersome. One wrong move and the entire door can come crashing down, injuring yourself as well as the door. Assuming you remain unscathed, that damaged door will no longer fall under warranty because you violate the manufacturer’s recommendations by not using a professional installer. Now you’re injured, have a trashed garage door, and still have to fork out money for a new one and professional installation. Replacing garage door panels. Here’s one that seems pretty simple at the outset; how hard is it to replace a garage door panel anyway? Well, first you may have problems getting your hands on the correct panel if you door is several years old. A professional garage door repair and installation company, on the other hand, can typically order one with a single call to a vendor. If you are able to get the correct panel, you still run into potential issues like door panels that break while you’re trying to install them, or cracking or chipping adjacent panels when you’re trying to remove/replace the damaged one. Worst of all, if the door manually malfunctions while you are in the midst of the repair, you risk the door opening and/or closing while you are in its path or near the tracks. A painful fall. The number one leading cause of injury and deaths on the home front is falls. In almost all cases, a garage door repair will require standing on a ladder or elevated platform of some kind. If you get in over your head (pun intended) or make one wrong move, your fall can be life changing. No reasonable labor charge is worth that risk. Don’t get too carried away in the DIY world. Dedicate those commendable intentions to the more risk-free home repairs – gosh knows there’s plenty of them – and honor your door’s manufacturer’s instructions. Contact a licensed garage door company. You’ll benefit from quick, accurate diagnosis and a timely repair. 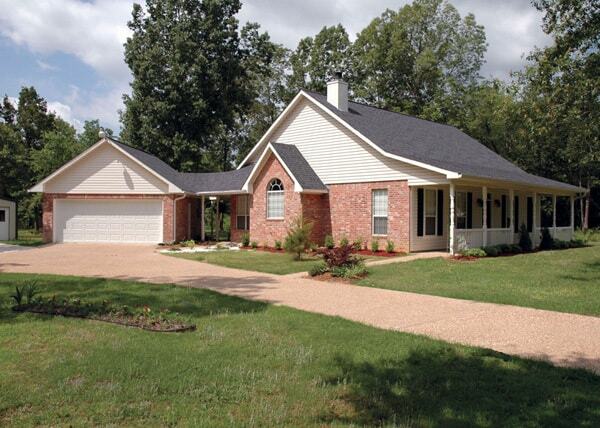 Detached or Attached Garage? Which is Safer? Until relatively recently, almost all garages were detached garages. This was leftover from the era when the garages used to be “carriage houses.” When cars began replacing horses, it took a handful of decades before everyone realized that cars didn’t have the same needs as a horse, and therefore didn’t need extra room for hay, tack and manure disposal. At that point, garages were moved closer and closer to the home, until they began attaching themselves to the house itself. Is a Detached or Attached Garage Safer? Or Better? 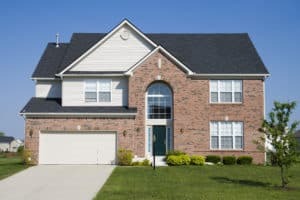 If you are deciding between an attached or detached garage based purely on safety and/or energy efficiency reasons, a detached garage would be the way to go. This is because, unless they’re designed with energy efficiency in mind, attached garages can be a significant source of indoor air pollution in the home and they almost always have a negative effect on energy efficiency. In other words, the carbon monoxide from cars and the off-gassing of the chemical products stored in your garage (paints, solvents, extra gasoline for the lawn equipment, etc.) are seeping into American homes and creating toxic air pollution. The EPA has found that air quality in the average American home is actually worse than the air outdoors – and that includes homes located in cities known to have poor air quality. Never warm your car up inside the garage. Even with the garage door open and a well-sealed interior door, pollutants can get into your home. If you want to warm up your car, back it out of the garage completely and warm it on the driveway. Store toxic, chemical products elsewhere. Keep your garage for the storage of camping gear, non-mechanical toys and seasonal items. Anything that releases toxic fumes and requires a well-ventilated area should be stored in a shed or barn that is detached from your home. Install a ventilation system. Did you know your car continues to release toxic fumes even after the ignition is turned off? As long as the engine is warm, your car is off-gassing. Installing an isolated ventilation system that pulls fresh air into the garage, and lets interior air recirculate, is a good solution for those who prefer to have an attached garage. Have the system installed by a licensed HVAC technician, and observe a regular maintenance schedule to keep the system working efficiently. Unless you’ve converted your garage into a livable space, rather than a house for your car and mechanical equipment, odds are its finished much differently than the rest of your home. The walls and ceilings aren’t as insulated and the garage door itself may be poorly insulated and sealed. However, attached garages share a sizable wall with the portion of the home they’re attached to – often a kitchen or living room. This means that portion of the home is directly influenced by the interior temperature of the garage – which can be very hot in the summer and very cold in the winter. Similarly, if the door from the garage to the house isn’t sealed properly, your home will pull in warm air during the summer and will lose warm air to the garage during the colder months. As a result, the attached garage winds up being a drain on your homes forced air system. To combat this problem, consider upgrading the insulation in walls and the ceiling to equal that of the exterior walls in your home. Spray foam insulation is a quick and easy solution for this. We also recommend upgrading the garage door and windows so their insulation reflects the level of efficiency you’re looking for. Sealing the door and windows is also important. However, remember that a well-sealed garage requires adequate ventilation to maintain healthy indoor air quality. In terms of safety and energy efficiency, detached garages are considered the best choice. However, you can design a safe and healthy garage door if you pay attention to a few simple details. Contact R&S to design and install the best garage door for your attached or detached garage.